In World War One, there was one truly innovative and profoundly effective weapon: the tank. It had only been used towards the end of the war, but its potential was obvious. In the inter-war years the vehicle was developed even further, with a turreted design being one of the favorites. The tank was built in increasingly different types and numbers by every major nation in the world with better guns, thicker armor, and more sophisticated suspension. Like many nations at the beginning of World War Two, the Soviet Union was trying to get its head around how to deal with this phenomenal weapon. 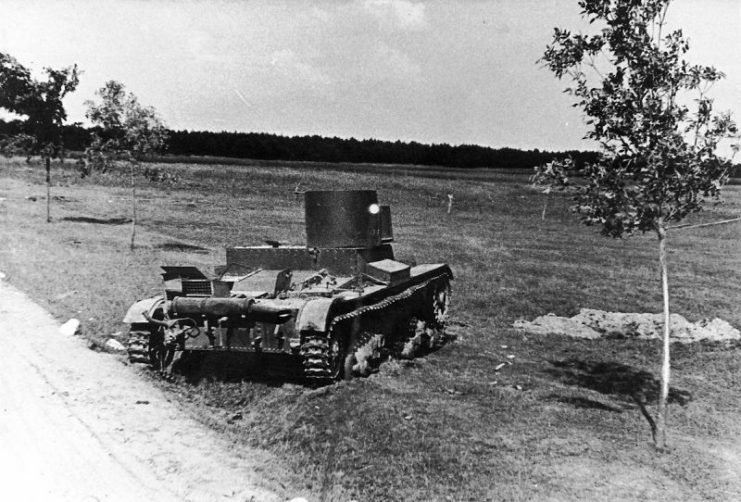 The Germans were a strong proponent of the tank, and they had used it to devastating effect in their Polish and French campaigns (September – October 1939 and May – June 1940 respectively). The Germans incorporated this weapon into their Blitzkrieg strategy. 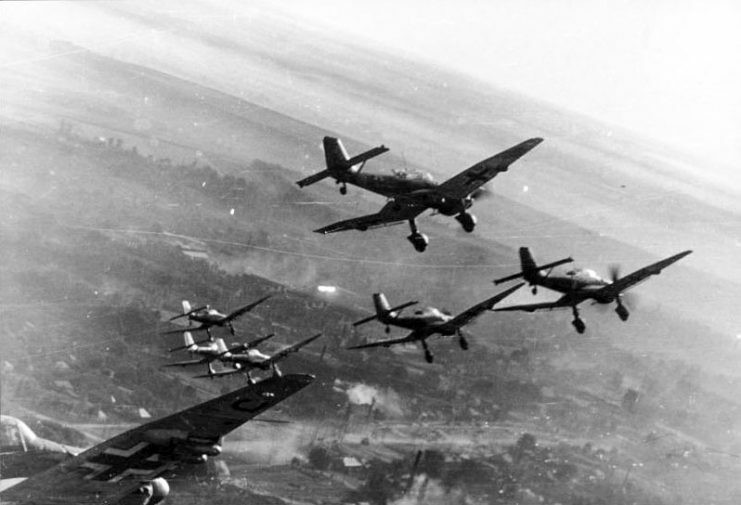 Blitzkrieg (Lightning War): an offensive carried out with great speed, surprise, and force, using air power and mechanized ground units in close coordination. Conventional thinking at the time was that the best way to defeat a tank was with another tank or anti-tank guns. 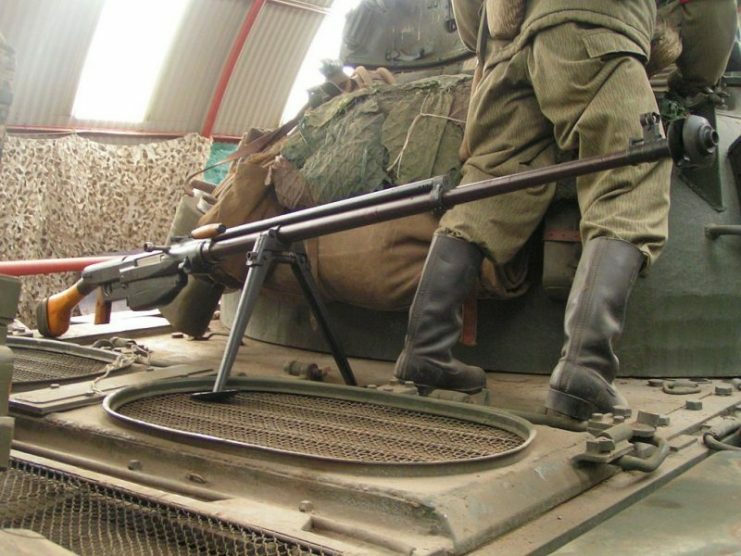 The infantryman was expected to use hand grenades or anti-tank rifles, both of which were rapidly becoming less effective as tank armor got thicker and thicker. 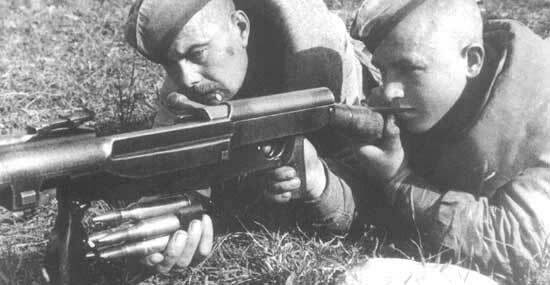 In 1941, the Soviet Union did try to counter this by introducing the new PTRS-41 Simonov Anti-Tank rifle which could penetrate 40mm of armor at 300ft (about 91.5m). But at the same time, the Germans introduced the Panzer IV Ausf.E medium tank which had frontal armor of 50mm. This meant the tank could only be attacked at fairly short range from the side or rear. The Simonov was not without its issues. It was difficult to use, unreliable, and clumsy to operate due to its weight of 46 lbs (almost 21kg). There were also never enough of them to go around. 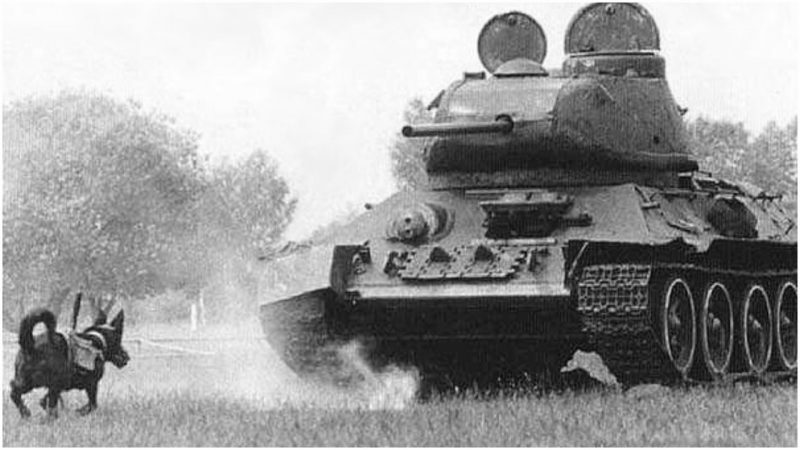 The Soviet Union started to look for innovative solutions to supplement their shortfall in anti-tank capabilities. They decided to deploy dogs carrying explosives to attack the soft underbelly of enemy tanks. It is easy to dismiss this idea as some kind of impractical novelty. It seems ridiculous to think that bomb-carrying dogs could ever be viable weapons, especially against tanks. But there is a long history of animals being put to imaginative uses in warfare. From the war elephants used by Persians in the 3rd Century BC to carrier pigeons being used during World War One for long-range communication, both were highly successful. So, by 1935, the Soviet Army was setting up dedicated anti-tank dog units. Training the dogs was simple: they took a Pavlov’s theory type approach. Pavlov’s Theory: where you condition someone to associate a reward with an action. The example Pavlov used was ringing a bell whenever a dog was fed. The dog would then drool when it heard the bell as it associated the bell with food. This is called a conditioned response. They would half-starve the dogs and then put food under a stationary tank. Over time, the dog would be conditioned to instinctively search under tanks for food. The original idea was that the dog would be equipped with a bomb that could be detonated using a timer or remote control. The dog was trained to run under a tank where it would release its bomb by using its teeth to removing the strap holding the bomb. Then it would run back to its handler. In tests, it was a complete failure. If the dogs were confronted with anything but the most simplest of scenarios, they became confused and were unable to complete their mission. They often returned to their handlers with the dummy bomb still attached. If that happened with a real bomb on a timer, the consequences could have been fatal to the handler and any Soviet troops nearby. But then came the surprise German invasion of June 1941 and the onslaught it brought. The Soviets began to deploy their Hundminen units. They were desperate and needed to stem the flow of ever increasing numbers of Germans as Operation Barbarossa gained momentum. Operation Barbarossa: the Axis surprise invasion of the Soviet Union led by the German Armed Forces. It began on June 22nd, 1941, and involved an invading force of nearly 3 million soldiers, 9,000 aircraft, and around 11,000 tanks. By now, the equipment and tactics used were starting to become standardized. Various breeds of dogs were used, but the most commonly used was the Alsatian (German Shepherd) which, ironically, was a German breed of dog. Alsatian (German Shepherd) Dog: Originated from Germany during the 19th Century. It is popular among the public as well as with both the military and law enforcement agencies. It is well-known for its agility, stamina, intelligence, and trainability. The bomb now used was of a contact type, rather than the complex and flawed timer or remote control version. 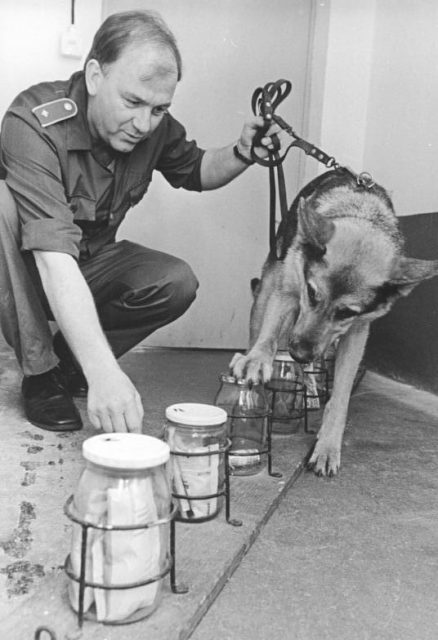 The dogs now carried a bomb with about 25lbs (11kg) of explosive, contained in a set of pouches, one on either side of the animal. Once the bomb was activated by removing the safety pin, an 8-inch wooden spring lever that was sticking out of the top connected to the two pouches. If the lever came into contact with anything and was pushed back sufficiently far, the bomb would detonate. As the dogs were trained to run under a tank, it was anticipated that the bottom of the tank would set off the bomb. As the armor was normally very weak here, it was hoped that the ensuing explosion would at least disable the tank, if not destroy it completely. 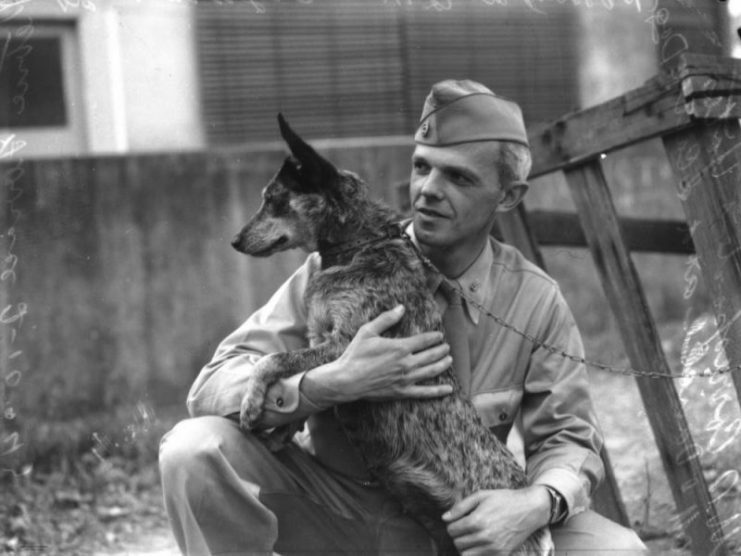 The dogs had been trained in sterile battle conditions and were not used to moving targets or the loud noises associated with the battlefield like machine gun fire. Often in confusion, the dogs would return to their handlers or friendly troops, and the bomb would often go off, killing everyone. The Soviets had used diesel tanks to train the dogs whereas, on the battlefield, the Germans mainly used petrol-driven tanks. 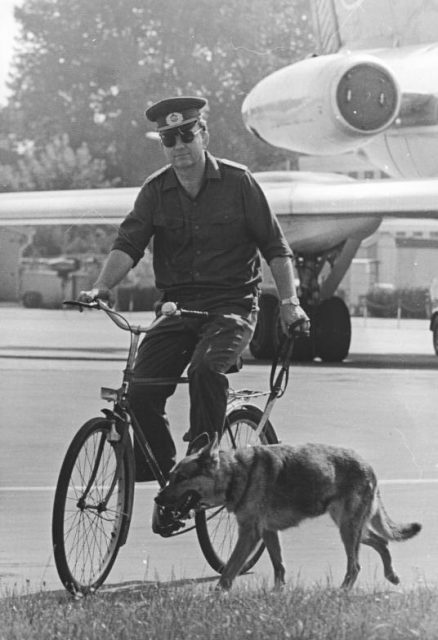 This meant the dog’s highly sensitive nose tended to lead them to Russian tanks, not German ones — with disastrous results. The Germans quickly got into the habit of shooting any dogs on the battlefield carrying anything remotely suspicious. As the dogs were in effect carrying out a suicide mission, some handlers got too attached to their dogs to let them do this. The dogs took a lot of time to train, so they were not very cost effective if they could only be used on suicide missions. 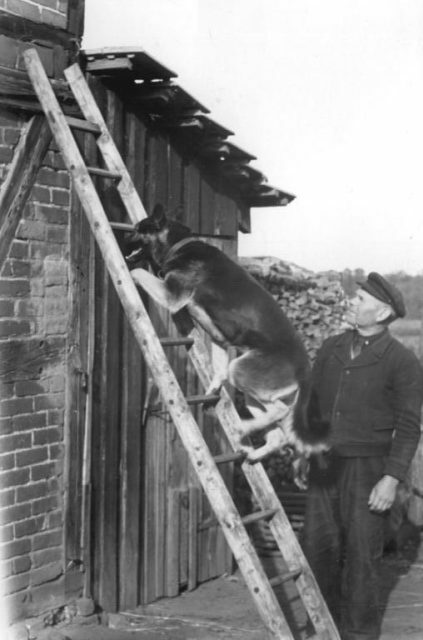 The Germans mocked the use of dog units. 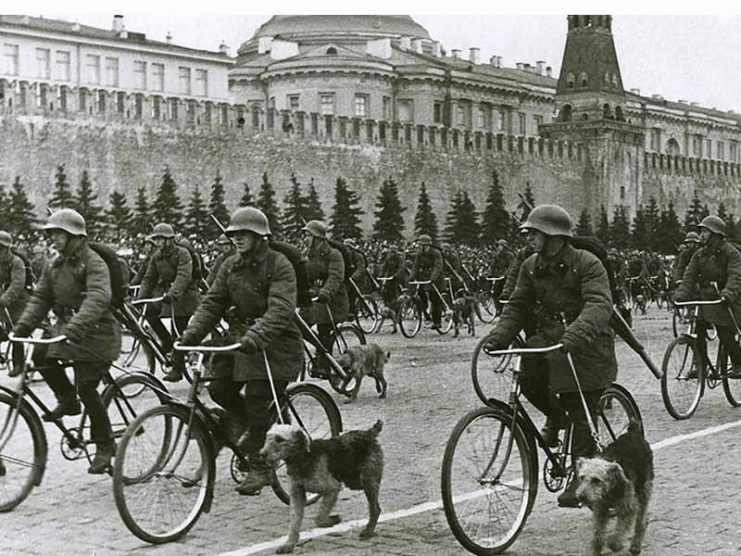 They claimed the Soviet soldiers were too afraid to fight and instead had to send their dogs into battle. 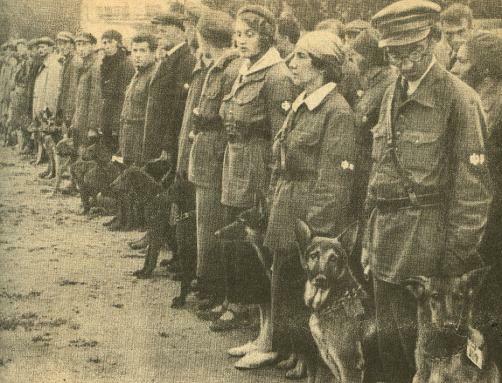 The Germans considered these anti-tank dogs to be a highly desperate and inefficient form of weaponry. On the other hand, it seems the Soviets boasted of great successes. They claimed that at Stalingrad (1942-43), the dogs destroyed 13 tanks. Then at Kursk (1943), a further 16 were destroyed. It was alleged that the Hundminen destroyed a total of around 300 enemy tanks, although records show the more likely number was nearer 50 tanks. The truth is we will never know what their true effectiveness was. However, considering the obvious drawbacks and the fact they were only deployed for a short time, it would seem reasonable to say that anti-tank dogs were a novel idea with limited value, deployed only out of necessity.